Like any other parent, I often find myself in crowds with my excitable and stubborn 3yr old who is a “big girl” and can “walk by herself”. Writing my phone number in Sharpie on her arm then spending the next three days after we’re home safe and sound scrubbing it off wasn’t ideal but it worked. 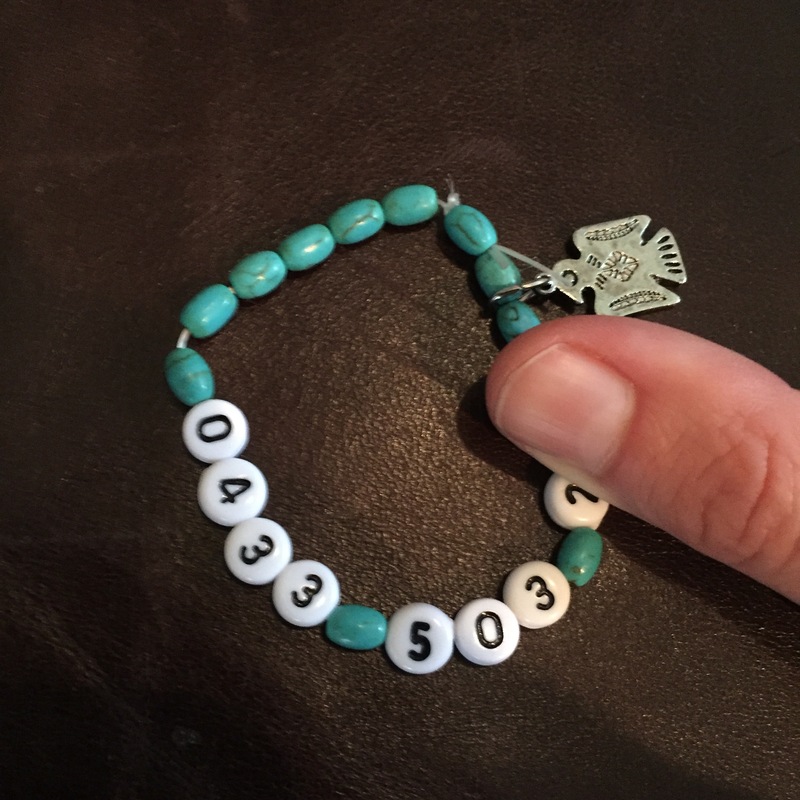 Of course I saw this brilliant idea of of phone number bracelet on Pinterest. I can’t find the original post but there’s dozens of variations out there. I think it turned out great and Lottie likes it too (enough to keep it on her wrist).